Super Bowl Sunday is just around the corner. 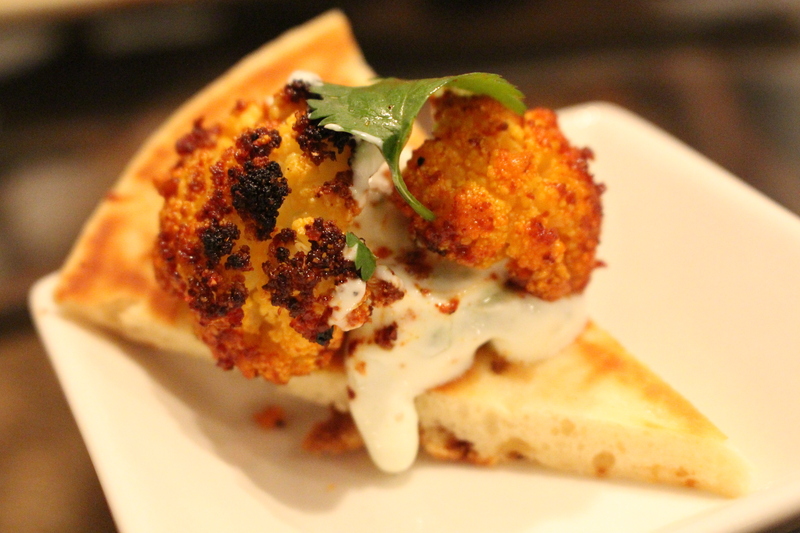 Maybe you’re hosting a party or maybe you’re going to one… and maybe you’re looking for a unique appetizer that is on the healthier but still oh so flavorful side to balance out all of those delicious but sinful wings, nachos, and creamy artichoke party foods that are sure to tempt you. 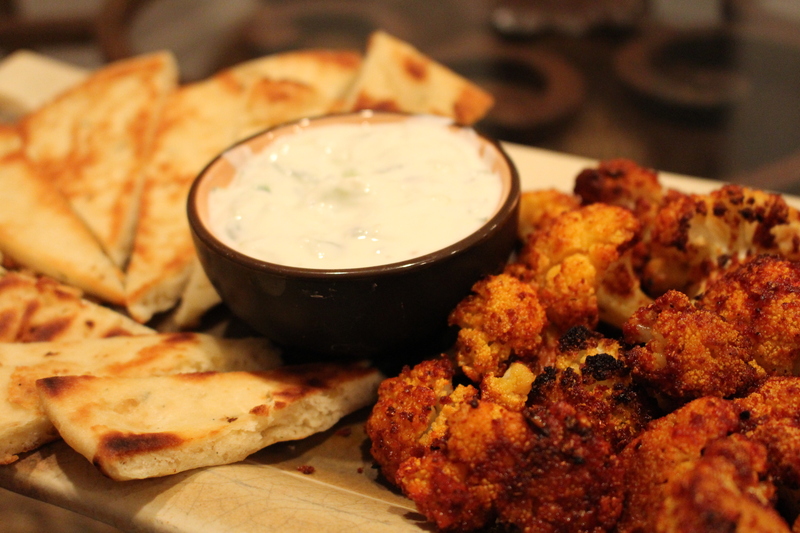 This easy Tandoori Cauliflower recipe compliments of Seven Happy Seeds’ owner Sujata is perfectly paired with Naan and a Cucumber Raita to cool down the heat of the Tandoori spice for an appetizer sure to please no matter whose team is winning.